My name is Rochelle Kelava, I’m the Student Coordinator at the Centre for Feminist Legal Studies. Through our research and other programs, the CFLS works to create a just, safe, and inclusive environment both here at the law school and in the wider community. Whether you’re coming to law school with an academic or activist background in feminism and social justice, or are simply curious about the word ‘feminist’ really means and how it could relate to your legal studies, I encourage you to become involved with the CFLS. Our events bring together experts on a wide range of topics related to women and the law, and attract a diverse audience of scholars, faculty, community members, and students. 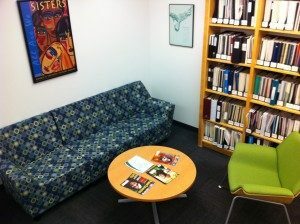 Everyone is welcome to relax, study, and socialize in our lounge. We’re tucked up on the 4th floor but we have tea and cookies so it’s well worth the trek! We also offer a unique mentorship program to connect 1Ls with like-minded legal professionals, and provide volunteer opportunities for students who wish to become more involved in our activities. The CFLS is a fantastic resource for support and connection, and I encourage all 1Ls, regardless of whether you identify as a feminist, to come say hi and check it out! 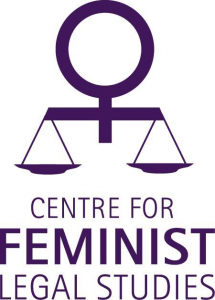 You can stay up-to date with our events by following us on facebook and twitter, and check out our blog for musings on cases and current events through a feminist lens. Finally, I’m always available to answer questions and can be reached at cfls@allard.ubc.ca. Please don’t hesitate to reach out if you want to talk about the CFLS, or anything related to law school in general.